One Less Headache: Fabulous Freebies: Etc's new items! Fabulous Freebies: Etc's new items! 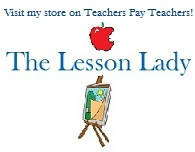 My partner in blogging crime has recently come out with two new freebies at her store. Check them out and please remember to rate freebies! Find databases of high quality children's literature with this easy to use freebie! 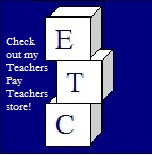 Etc is a wonderful teacher known for her use of games in the classroom to help make learning fun. I've learned many games from her that I used for years in my classroom and became some of my favorite activities. Even if you don't teach Spanish this freebie can still come in handy as a way of learning a new game that you can use in your classroom. Having games in your repetoire is very handy when lessons don't go as planned or when you have unexpected time left at the end of a lesson. Have fun checking out Etc's newest freebies!